The views expressed by this author and in the following reader comments do not necessarily reflect the views and policies of the Project Unify Team. Hi! Let me thank you first for reading this article. My name’s Maria Celes Abragan, but you can call me Maria. I am a 17-year old Filipina girl from Davao City. Here in this royal city of the south, are the kings and queens of natural history: The queen of Philippine orchids and one of the rarest and most glamorous flowers (the ‘Waling-Waling’), the king of exotic fruits (the Durian), the king of all Philippine mountains (Mount Apo), and the king of Philippine skies, the strong and mighty Philippine Monkey-eating Eagle. The city itself is a king based on land area! Davao city is one of the largest cities in the world. It is also the most peaceful city in Southeast Asia. Life here offers both urban and countryside type which is ideal for residential living. Being inhabited by majority of the tri-people (Lumad, Muslims, and Christians) is also our pride. Magandang araw po! That’s “Good day!” for us Filipinos, something always said with a respectful tone and a heart-warming smile. My name is Kendra Ivana Sy and I come all the way from the Bicol Region of the Philippines, home of the world’s best watersports park, the sweetest pili nut, perfect-coned Mayon Volcano and the biggest whales you can ever swim with. But that’s just one of the 7,107 islands scattered all over the country! Read on so you can get familiar with our life-filled land, our colorful history and our hardworking and hospitable people. Mabuhay ang Pilipinas! Hi there! My name’s David John Reyes. Born and raised in the hustle and bustle of the Metropolis, I would love to show you the side of my country that maybe most of you don’t know! Aside from our beautiful beaches and provinces, The Philippines has been advancing in business and technology. Having beautiful cityscapes and an incredible nightlife, with world-class malls and beautiful city lights and sights, I can tell you that our cities are as pretty as our beaches. So sit back, enjoy the article, and discover the truths and facts of this archipelago in the southeast of Asia. When most people think about the Philippines’ background, they always remember how some men from Spain on a conquest came to the archipelago and “discovered” us. But in reality, there have been a lot of things going on before the arrival of the Spaniards. In fact, some 250 000 years ago, a nomadic group of people strode into the beauty of the Philippines all the way from the Malay Peninsula, Borneo and even Australia. This group of people is the Negritos, the eldest of our ancestors. Then Indonesian groups came and gave the gift of formal farming and building, while the Arabs came into the picture brought along a powerful Islamic sphere of influence for the next hundred years. Saving the best for the last, the Chinese came and started trading with the natives. After that, many other surrounding countries came to trade and soon, the Philippines turned out to be a small bustling nation. That’s why although the arrival of Portuguese voyager Magellan in the name of Spain marked the discovery of the Philippines, the Filipinos were just as knowledgeable as most of the other countries in the world. The Spanish colony was attracted by the country’s natural resources and thus remained in the country, which naturally brought several revolts to arise. With the great writings of Dr. Jose Rizal, who is the country’s National Hero, the world was educated on how the Filipinos were treated by the Spaniards. When there was unrest everywhere, the only thing everyone was waiting for was a focal point – and that came when Rizal was shot dead. The Filipino independence movement grew and this later led to the Philippine Revolution as led by Gen. Emilio Aguinaldo, the man who later became the first Philippine president. Another revolt led by Aguinaldo came, but now, against the Americans to claim the independence he had declared. This happened when the great depression came to the U.S. as Japan started to declare war in Asia. Thus, the Japanese started to increase its power and reached the Philippines. Sergio Osmeña, who was the president at that time, came back to the Philippines with the great forces of the Americans. This ended the Japanese reign in the country and the Republic of the Philippines was then established, the same governing structure that stands today. The following years of rebuilding the nation were fruitful until 1965 when Ferdinand Marcos won the Presidential Election. Marcos was able to enrich the country’s economy on the first part of his term but as violence grew all over the country, he soon declared martial law. And in addition to that, a strong leader who opposed him, Benigno “Ninoy” Aquino, was assassinated. When the 1986 election came, the widow of Ninoy Aquino, Corazon Aquino, fought Marcos for the presidential seat. 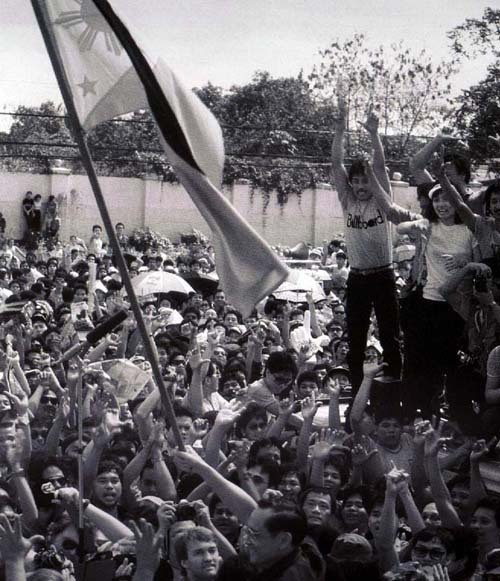 Both declared to have won the election, but the Filipinos stood up against the dictatorship of President Marcos, and joined forces together through a massive rally. The whole world watched as the Philippines bloodlessly triumphed against its dictator. This is the infamous “EDSA People Power” in 1986 which made the Marcos family flee to the United States, finally ending his term of more than 20 years and beginning a fresh start for the Philippines. North of Indonesia, East of Vietnam, and South of Taiwan, the Philippines can be found in Southeast Asia. This beautiful tropical archipelago, that’s made up of at least 7,107 islands, has a total area of 115,830 square miles or if you’re more familiar with the metric system, like us, 300,000 square kilometres; it’s as big as Italy and is a little bigger than Ecuador. Abundant in landforms and waterforms, the Philippines has 55 mountains, 36 of them are volcanoes (most of which are no longer active), and lots and lots of other forms of lands such as peninsulas, hills, plateaus, valleys, plains, and wetlands. 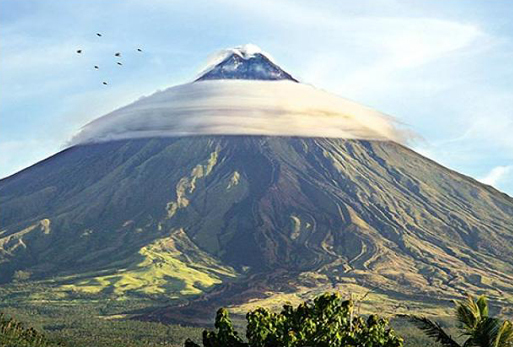 In fact, the tallest point in our country is the peak of one of our famous volcanoes, Mt. Apo; a whopping 9,691 feet (2,954m) height! So let’s start looking at the regions from biggest to smallest! You see, The Philippines can be split up to three (3) main set of islands: Luzon, Visayas, and Mindanao. And in each set of islands, consist of a number of regions; and in each set of regions are a number of cities or provinces. There are a total of 16 Regions; 7 in Luzon, 3 in Visayas, and 6 in Mindanao. Now in this nation that’s thousands of square miles/kilometres big, you’d expect millions of people in it—97, 976,603 people to be exact (July 2009 est.). Spread all over the islands and nations, the Filipino people are rich with different cultures and even dialects! And as much as there are a lot of diverse and foreign cultures that make up the Philippines today, it still has its original tribes and indigenous groups of Filipinos in certain provinces with their own set of languages. As Kendra mentioned earlier in our country’s history, the Philippines has had a lot foreign influences ingrained in its people. You’d be amazed at the wide range of how Filipinos can look like! Some Filipinos can look Spanish, Chinese, American, or all three! The obvious similarities don’t stop there either; we Filipinos have carried with us a lot from our former colonizers and early migrants. Language for instance; we carried a lot of Spanish words into our tagalog vocabulary such as telling time (alas dose y media) or “como estas?” in spanish is “Kamusta?” in tagalog which bear sound similar. We even have our own Chinese-dominant town which is called “Binondo” where you’ll see a lot of establishments in Chinese writings and even Chinese schools! And if you noticed in the map of regions in the Philippines, there’s even a region in Mindanao for the Muslim majority in the Philippines! Speaking of religion, there’s actually 3 major religions that Filipinos believe in: Roman Catholic (the most dominant of the 3), Christian, and Muslim. If you’d ask me what the best qualities of Filipinos are, I’d tell you that we are a very loving and caring people. 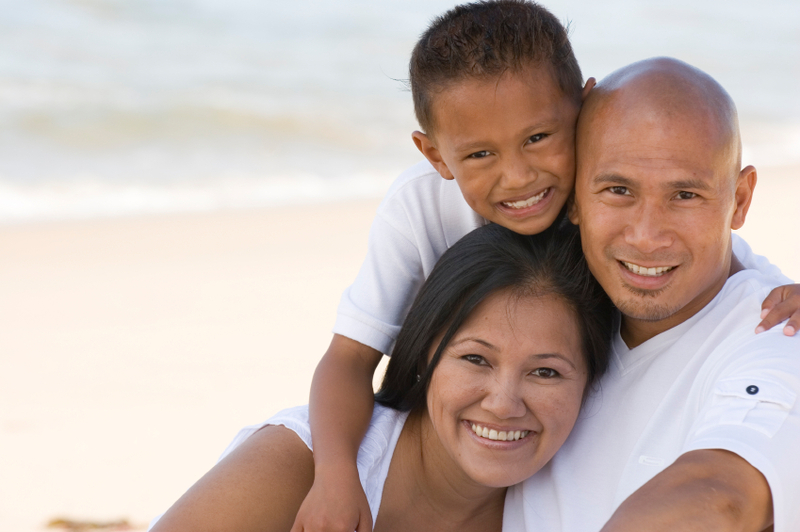 Family-centred and empathetic, Filipinos are quite hospitable to almost anyone; friends, guests and especially foreigners! We even have words to show respect when talking to older people. We say “Po” as something to add in sentences to show respect, and “Opo” as “yes”. We also have words for older brothers and sisters!–“Kuya”(Koo-yah) for Older Brother and “Ate”(Ah-teh) for Older Sister. I’m very proud to say that we Filipinos are a very happy people! Our humor and our puns are like inside jokes to every Filipino. Whether it be funny jokes or wordplays (we love that), you will always see Filipinos laughing and smiling even through disasters or hard times. The Philippines is blessed for its abundant natural resources. Showered with the best of nature, we proudly showcase our world-class white-sandy beaches with its deep-blue crystal-clear waters. Offering 40,000 square kilometers of coral reefs rich with a variety of marine life and three-layered virgin forests prospered with wild life and diverse animals and vegetation, am I exaggerating? Not at all! My country is more than a description. Want to test me? Then go with me as I “travel around” our places. 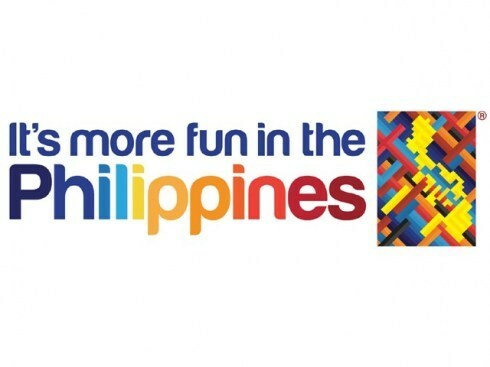 It’s truly more fun in the Philippines! White-sand beaches with deep-blue crystal-clear waters are my country’s pride. We have the most famous beach destination in the country, Boracay Island; the Beach Capital of the Philippines. Endowed with its beautiful sights, incomparable entertainment, and the vast possibilities of activities, Boracay has been considered as the best vacation destination for 2012! Who would not be proud of Palawan Island? The country’s last frontier, it possesses not just stunning beaches but also eye-catching rock formations, underwater rivers and magnificent caves. It is where you can find the Tubbataha Reef, competing in exquisiteness against the Great Barrier Reef of Australia. I am happy that the Puerto Princesa Underground River in Palawan made it to the list of 7 New Wonders of the World, and I know every Filipino is so proud. We considered it as a tropical paradise. Want to have the best mountain and water adventure ever? Well, we have the perfect island for your get-away. Caramoan is best for scuba diving, rock hiking, kayaking, caving padding and snorkelling. What about a private island to stay and unwind all for yourself? Dreams do come true! In the Hundred Islands, located in the northern part of the Philippines, you can rent an island for a day! There are 123 islands all in all. It is best for Island hopping activities. Hidden away from the cities and technology, the untouched beauty of the Philippines can enchant anyone. This Enchanted River is something I would love to share to all of you. The Secret Paradise of Surigao del Sur, with its deep blue waters seemingly scary, seems like a captivating enchanted panorama. Soothing in a hot spring tropical rainforest paradise of Hidden Valley Spring and surrounded with just about 153 species of flourishing foliage is extremely a haven for all the nature-loving individuals out there. Our country is so blessed! My fellow Filipino would be amazed too for this newly discovered Asik-Asik falls in North Cotabato, Philippines. The unusual thing about this falls is the water- it sprouts out from the rocks on a cliff which creates an illusion of a curtain of water falling from the wall of rocks surrounded with lush shrubs. If you are a mountain climber then you should never forget to explore Mount Apo in Mindanao. It is the highest peak of our country, rich with biodiversity and tropical life. It is one of the homes of the famous Philippine Monkey-eating Eagle, which is the rarest, largest and most powerful bird in the world, only endemic to rainforest of the Philippines. This is not man-made. Chocolate hills in Bohol is a remarkable spot of extraordinary and beauty. One of the top 10 greatest geological wonders since its structure is still a mystery, there is an estimated 1, 268 to about 1, 776 mounds. You are probably wondering why it is named as ‘Chocolate’ hills, well it is because of its grass-covered hills that changes its color to chocolate brown during its dry season. It is like chocolate-kisses in a continuous queue. Aha! Everything makes me so proud. There is a lot more to bring in, but I believe there is always a limitation. You might be thinking of Philippines as a very dirty and awful place to live. I must say some parts, but absolutely not all. I do hope that your thoughts about our place already change after I introduced to you our country’s attractiveness. I bet you are also interested in my country’s achievement and contribution to the world. Philippines might be simple and small, but it is a successful country too! 1. The Philippines ranks 1st in Global Business English Proficiency – beating the United States and the United Kingdom – according to GlobalEnglish Corporation. 2. Filipino business leaders ranked 4th ‘most optimistic’ in the world based on the most recent Grant Thornton International Business Report. 3. St. Luke Medical Center of the Philippines ranked 11th of the 25 most beautiful hospitals in the world. 4. 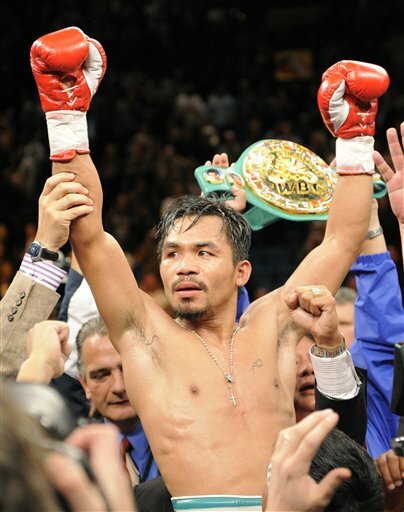 Manny Pacquiao is the world’ best pound for pound boxer in the world. He is the only boxer who won eight world titles in different weight classes. 5. Filipino People Power Revolution in 1986 is the first non-violent revolution in the world which inspired many countries worldwide to uphold postmodern democracy. 6. 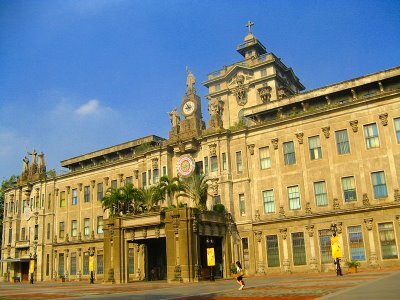 University of Santo Tomas is the oldest existing university in the Philippines and Asia. One of the oldest in the world. It celebrates its 401th anniversary this year. 8. 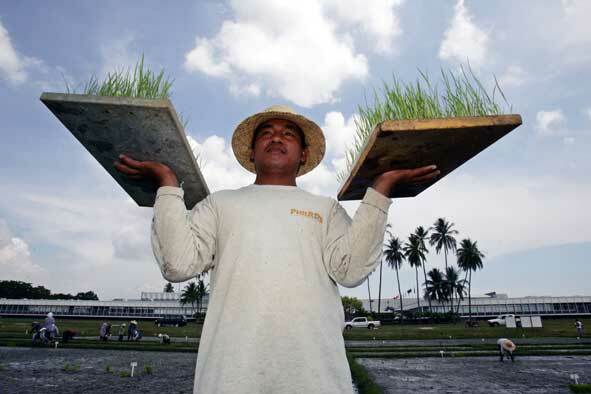 The world’s rice research leader, International Rice Research Institute (IRRI),is located in Los Baños, Laguna. 9. 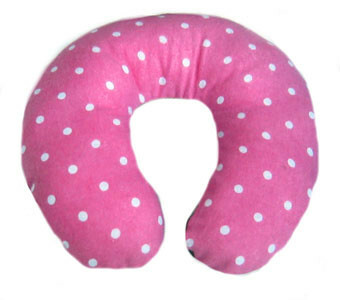 Filipina Margie Talaugon made the first car seat pillow for a child. 10. A lot of famous actors, actresses, and singers in western countries actually have Filipino blood running through their veins! Charice Pempengco, Apl.de.ap, Rob Schneider, Batista(the wrestler), Enrique Iglesias, Nicole Scherzinger, and also Jessica Sanchez! ON OVERSEAS FILIPINO WORKERS: A few years ago, I read about how the word ‘Filipina’ was defined in the dictionary as synonymous to ‘a domestic helper’. That issue was quickly corrected, but the idea that the majority of Filipinos (yes, not only women) are overseas Filipino workers (OFW) is something that still hasn’t faded in the thoughts of many. First of all, let me clear it out to you that working as an OFW is nothing to be ashamed about. We take pride in them as they greatly help the country by working hard and taking care of the children of others while missing out on their very own families. We even like to call them all our national heroes. Secondly, there are many successful Filipinos inside the country and out, specializing in all kinds of work from law to medicine. Our country does not only focus on making nurses or domestic helpers to be sent abroad. We can work well in any kind of job that we want to get into. Lastly, it would be pretty close-minded for someone to assume that our kind is too poor that can’t we don’t have the money or the wits to study abroad or go on vacation in some Western country just like everyone else. That’s why the next time you see a Filipino walking down the road, that person deserves the same respect that everyone else walking with him has. Think about it this way. Our Filipino workers abroad are there because they’re good enough to be brought halfway around the world to do their job. 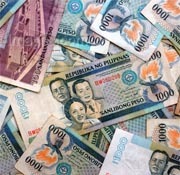 ON OUR ECONOMY: Philippines’ is one of the richest countries in the world. It’s shocking, right? Everybody’s doubtful because as you know, we are just a “developing” country. Our country is gifted and blessed. We got natural resources from land, sea, forest and soil. Our 9 million hectares land area is a potential spot of metallic mineral deposits. Don’t you know Philippines is the 5th mineralized country in the world? We are in the 2nd rank when it comes to gold and the 4th rank in copper, 5th in nickel and 6th in chromites. Not to mention the Filipino man-power; we got vast human resources too! What actually makes us poor is the corruption of the authorized people in our government. I don’t have to cover up our government leaders. The poverty is very transparent. ON POVERTY: A sad misconception about our country is that it’s drowning in poverty. Yes, it’s not exactly topping the list; but in truth, the Philippines has improved quite well in the stock exchange market and it’s even raking in investments from foreign companies to provide jobs and a better life for its people. I’m not saying that we’ve completely eradicated poverty, but it just doesn’t define who we are – which is a whole lot more than what you can imagine. ON BEING JUST A RURAL COUNTRY: Yes, we have Boracay, the best beach vacation destination, plus other very beautiful mountains, beaches, resorts; but we also have great cities! 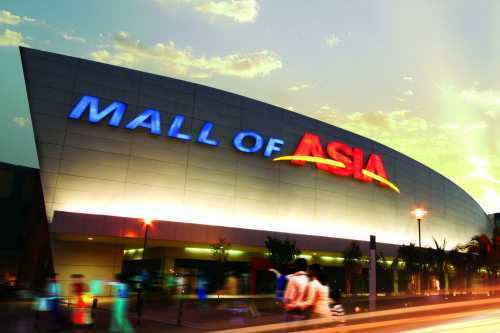 Did you know that the Philippines has 3 of the largest malls in the world? No? Well, now you do! SM Mall of Asia, SM North Edsa, and SM Megamall are almost always found in the top 10s or 15s of the biggest malls in the world. So after all’s been said and done, with our heritage and our true colors shown, we hope that our work helps bring a new and better picture of the Philippines – one whose painting gives justice to how the Philippines should be defined after centuries of greatness. Thank you so much! Mabuhay ang Pilipinas!